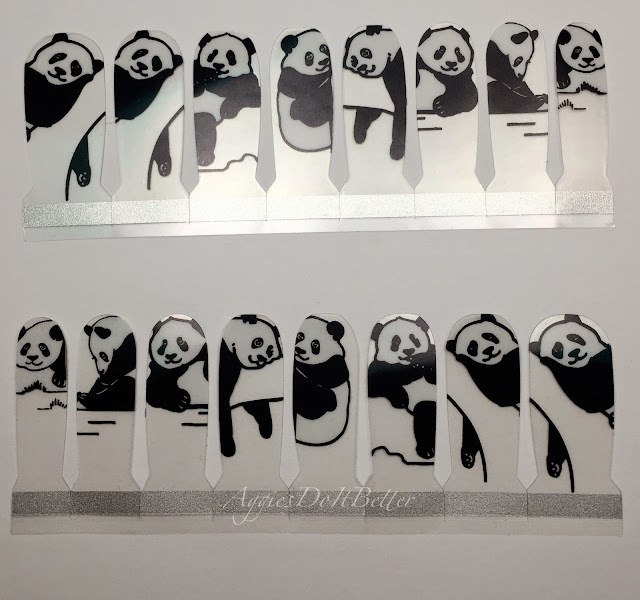 Aggies Do It Better: Limited Edition Panda nail wraps from Scratch! 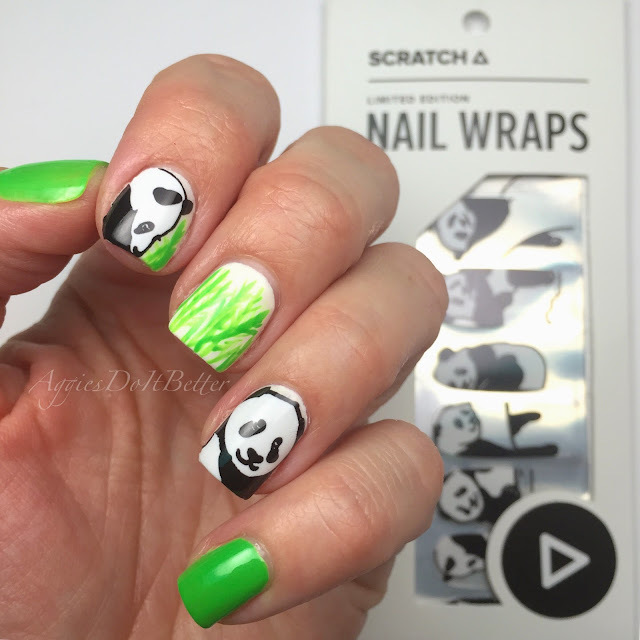 Limited Edition Panda nail wraps from Scratch! Hey guys! 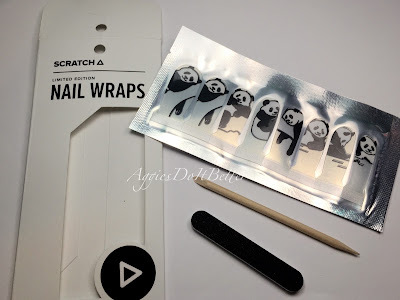 I have another long overdue review for you, hopefully the folks at Scratch will forgive me! 5 minutes after I received these a few weeks ago we got the first ice storm and the kids were home for a week, then my son had a birthday and party, half my kids have been sick AND we are in the middle of moving! It never stops, does it?? These are LIMITED EDITION nail wraps from Scratch this month! To get these you had to subscribe to their monthly box by the end of February (to get them first) or wait for them to be available to the rest of the public, which is NOW! :) They are designed by Rik Lee and are available now for $12. Here is the look I created with them! what you get when you receive your wraps. I didn't photograph the process because I've already done a tutorial on how to apply them, which you can see here. When you open them you get the sealed package, an orange stick and a file . 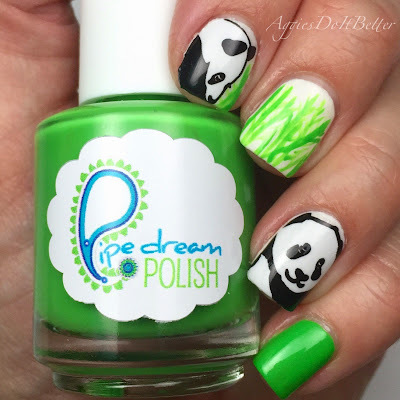 a few words....these are clear, meaning the pandas are white and black but everything else is clear. So I would recommend a white or close to base coat unless you are going for the "negative space" look. 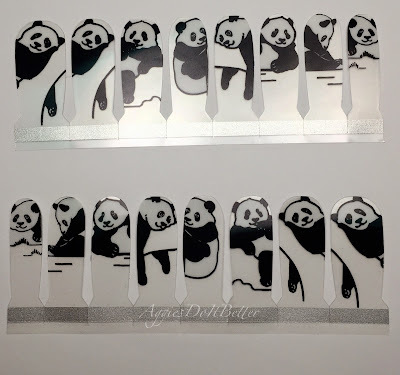 I'm not sure how opaque the white is, but I think if you chose a dark color it would definitely tint your pandas ;) AND... like I said before....these require no heat to apply. Just peel off the front and back and place them on your nails. They are thin and easy to get smooth on the nail. I even used my cleanup brush this time with a little acetone to straighten the edges a little around my cuticle and it worked great! My original idea involved watermarbling which I still might do! 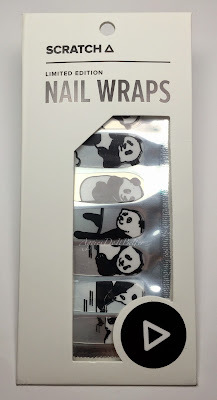 The set gives you enough different sizes to do all you nails or all your toes, but I only used a couple because I want them to last! 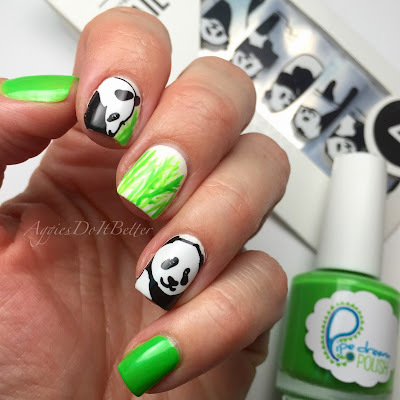 My free hand bamboo is....um not the greatest (this is why I don't draw on my nails unless it's dots ;) but my 9 year old recognized it as bamboo this am so I consider that a WIN! Cinderella nails inspired by MAC Cinderella! Color Club You're So Vain and Obsessed swatches!